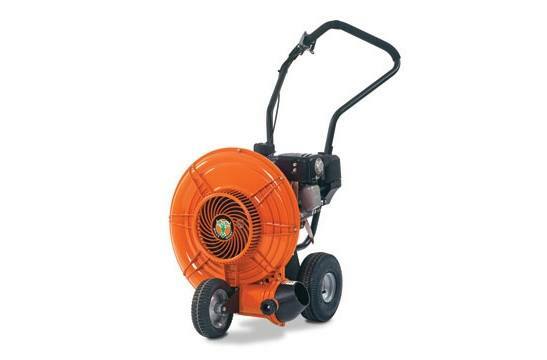 Billy Goat's F601 Series Force blowers feature the next level of performance and productivity in push blowers. Forget the fatigue factor associated with heavy metal machines, these models are a remarkable 30% lighter than comparable steel units and weigh only 76 lbs. (F601V, F601S) or 71 lbs. (F601X) making them a breeze to roll around the yard. The result is a dramatic jump in productivity, ergonomics and reliability. When combined with industry leading wheels, ergonomic handle design and the patented Aim-n-Shoot™ airflow technology, the F601 Ser. is the ultimate property cleanup tool. Patented Aim N Shoot™: Directs the airflow where you need it most with fingertip control and is lockable for single positions. Operator Ergonomics: Lightest weight and ergonomic handles for best in class comfort and productivity. F6 Warranty: F601S: 1-year limited commercial; 3-year limited residential engine warranty. Limited 3-year engine (F601V); limited 2-year engine (F601X); limited 1-year machine (F601S, F601V, F601X). Advanced Fan Technology: Features a single shot 16-blade closed face fan; twice as many blades as others on the market. Smooth Rounded Housing (F6): Eliminates air voids for a smooth, quiet, powerful flow. Proven design won't rust or dent. Backed by a 1-year warranty. 8-Point Fan to Hub Connector: Improved fan to hub connection has 8-point attachment versus 4 for increased durability and fan life.